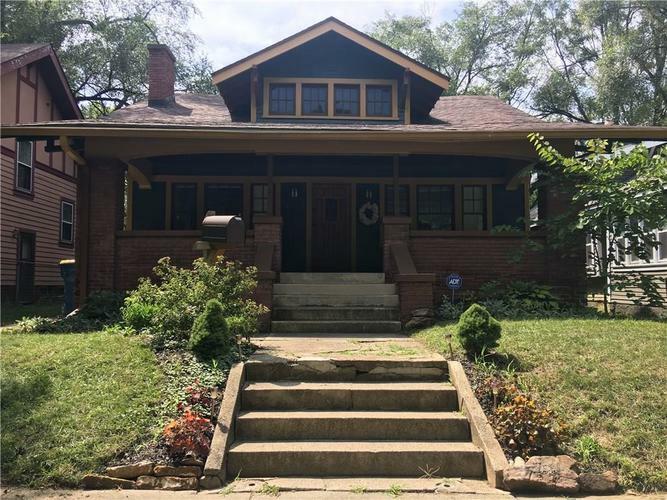 Step into this beautifully maintained 1920's Craftsman home in highly desired Meridian Kessler neighborhood. This home has modern and elegant updates through out, maintained original hardwoods, natural stone flooring in the kitchen, and original tile in the bathroom. This home gives you room to grow with a full basement in need of your finishing touches! The back yard allows for room to entertain around the in-ground fire pit. There is a small office in the kitchen. Within walking distance of the future Indy Redline, several shops, restaurants, two parks and the public library. New ceilings through out, Nest home thermostat system, exposed brick walls, original built ins and concrete counter tops are all unique characteristics of this home! Directions:Just south of 42nd & N College Ave on the west side of the street.